Everyone likes pretty pictures, and everyone knows that a picture speaks a thousand words. When out enjoying the Austin food scene, we’re often taking cool photos of food that don’t necessarily justify an entire blog post… until now. We’re starting a new series called Food Photo Friday, where we can share lots of mini food adventures that we’ve been having and just let the pictures do most of the talking. 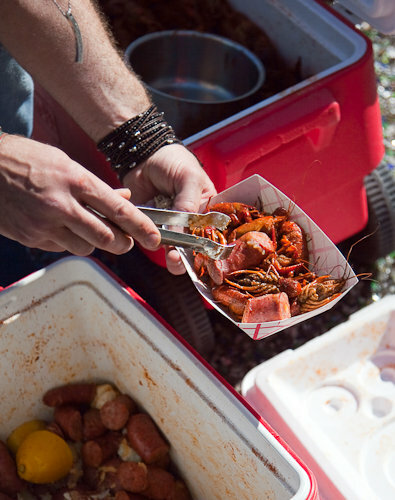 The first two photos are from the 2010 SXSouthLamar Crawfish Boil. The friendly guys from the shopping complex 2110 South Lamar drove all the way to Louisiana to pick up over 200 pounds of crawfish! It was delicious… thanks guys. 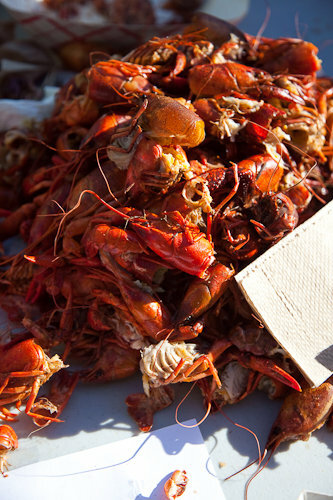 If you missed this one, they are thinking about having another party this crawfish season – be on the lookout! 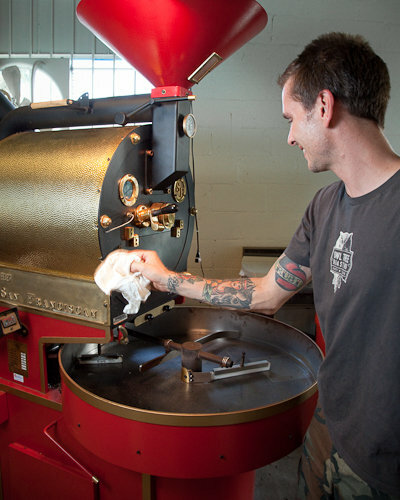 Travis from Owl Tree Roasting showing off his coffee roasting machine (I personally think it looks like Thomas the Tank). Travis’s coffee is local and delicious – you can try it out at either Progress Coffee or La Boite. The next two photos are from the newly opened Vivo north location (near Cedar Park). 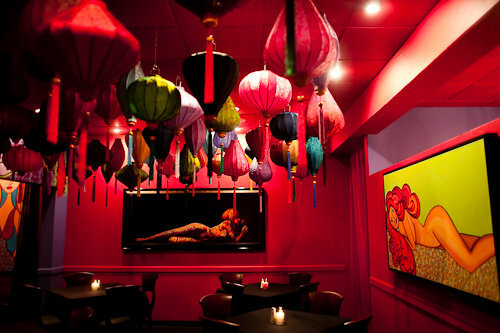 The interior visuals are very racy for that part of town but if you are looking for hip restaurants in the area, you no longer have to drive all the way downtown. Well, hope you enjoyed the photos (courtesy of Peter Tsai Photography). We hope you are having food adventures of your own and look forward to your comments. Great idea, Peter! 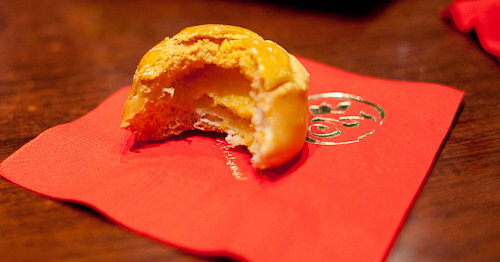 Yesterday’s food-photo-taking session @ Odd Duck/Gordough’s comes to mind!